Lightning coach Jon Cooper says he isn't worried. Fortunately, he has a lot of fans to worry for him. 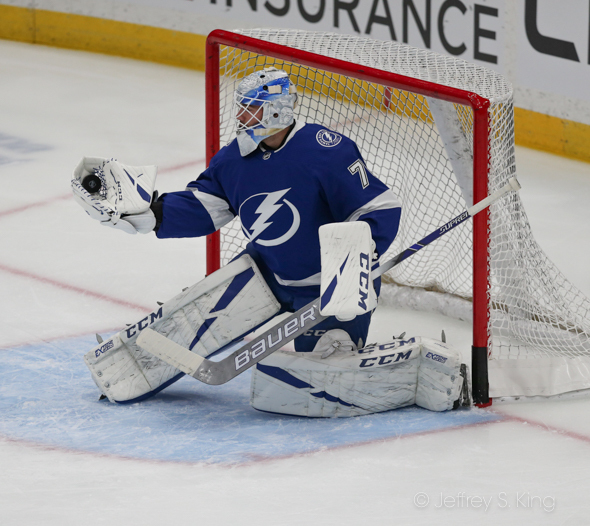 The Lightning's recent slump continued Thursday night with a 1-0 overtime loss to the St. Louis Blues, the first time all season that the high-scoring Bolts have been shut out. It was only the second time the Bolts have lost back-to-back games all season, and the first time at home. Brayden Schenn scored the only goal with 58.2 seconds left in overtime. The Lightning's offense has dried up somewhat in their recent skid. They have scored just 19 goals in their nine games, and six of those came in one game. The Bolts have scored two goals or fewer in seven of the nine contests. "We scored a bunch of goals and gave up a bunch of goals," Lightning coach Jon Cooper said. "Now we're not scoring, but we're not giving anything up. At some point, we got to find a happy medium. "That team's won a boatload of games since the first of the year. They're a good hockey team. We went toe-to-toe with them the whole game; had plenty of chances to win that game, their goalie made some saves and that was it. There's not a whole lot to complain about other than the fact that probably the first half of the game we just didn't have that killer instinct to shoot pucks and as hard to the net in the second half of the game." In his last two games, Andrei Vasilevskiy has made 73 saves but has lost both, one in a shootout (to Vegas) and one in overtime (to the Blues). "We were better as the game went on," Cooper said. "A couple old habits jumping in now trying to score the perfect goal. When you go through the first period, we had 14 shot attempts and St. Louis had 15 shots on goal. We had 14 attempts the whole period. It's tough to win in this league when you're doing that. You compare that to our third period where we were really effective. We had them on their heels. We were shooting pucks. It's just how the game went. We got better as the game went on." Cooper said that team had fallen back on "trying to pass the puck into the net" instead of shooting. Defenseman Ryan McDonagh agreed. "One thing we'll look at in that third period is that we put a lot more pucks on the net to start our offensive zone play," McDonagh said. "Sometimes when we can get a little too fancy so to speak we look for that extra pass and hold on for pucks long as opposed to putting it on net and putting it into coverage that way. I think that'll be one thing we'll look at in the third as a reason for why we had more opportunity." 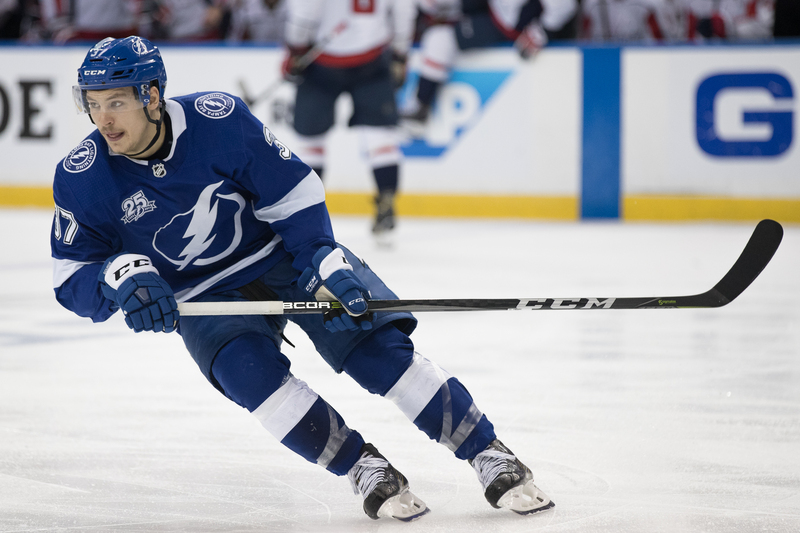 Forward Yanni Gourde said not to make too much of the scoring slump. The Bolts are back at it again Saturday night. They are at Amalie Arena against Pittsburgh. The puck is scheduled to drop at 7 p.m. Previous post: Will signees ever amount to anything for anyone? Next post: Ask Gary: Will Machado, Harper still cash in?